Last night the Manchester Arena was bombed at the end of an Ariana Grande performance. While the police are saying that the perpetrator died in the attack, there are several reasons to suspect a wider plot. From the available reports it seems the bombing was in the foyer of the Arena just as kids were leaving the gig and being picked up by their parents. This is outrageously cynical, clearly aimed at causing maximum emotional distress to the victims and the bereaved. However, there is also the looming General Election which now looks absolutely certain to be won by the Tories. Election campaigning has been suspended, interrupting the massive surge in support for Labour and the substantial loss of support for every other party. Many Corbyn supporters have been expecting something like this for weeks — a conveniently timed, emotionally distracting event that will encourage people to vote for the ‘stable’ and ‘secure’ sociopath Theresa May instead of someone who actually gives a damn about them. The notion that people within the Tory government might have orchestrated this bombing is not as ludicrous at it might first appear. Throughout the election campaign the Tory-friendly media (which is pretty much all of the mainstream media) have made constant references to Corbyn having a less-than-fascistic attitude towards the IRA. Only two days ago The Sun branded him ‘vile’ for refusing to absolutely condemn the IRA and say they should be tortured, hung, drawn and quartered. This after a ceasefire that has lasted over 20 years, proving that negotiating with terrorists sometimes works very well. Likewise last night the BBC posted a story at almost the exact same time as the bombing about Corbyn’s refusal to condemn the IRA and say they should be castrated and beheaded by Boris Johnson live on youtube. So, the attempt to smear Corbyn and associated him with terrorists (the same terrorists the Tories were secretly negotiating with at the same time Corbyn said we should negotiate with them) is obvious. What is equally and abundantly clear is that the Tories should, by all measures, be facing far more criticism on this issue. A senior Tory councillor is a former member of the IRA — a fact the web-based pro-Corbyn media have highlighted but the pro-Tory mainstream have ignored. Ditto the (dubious) claims by Lord James of Blackheath that he laundered billions of pounds for terrorist gangs. In this context, any bombing or other terrorist act is going to encourage unsure, floating voters to side with the Tories over Labour. They have been told over and over that Corbyn is soft on terrorists or even is friendly with them. Basically, that Corbyn is a terrorist. He even has an award-winning beard. The idea that the perpetrator was a suicide bomber was first attributed to anonymous US officials within a couple of hours of the attack. Any serious investigation has to ask: who are these officials and how could they know such a thing so quickly? The British police are still saying it is only a ‘suspected suicide bombing’. This has shades of the London 2005 7/7 bombings, blamed on suicidal Muslim extremists, where within two hours of the story hitting the news the phrase ‘the hallmarks of Al Qaeda’ began to dominate the coverage. There was no need for a terrorist to kill themselves in order to carry out this attack. The bombing was on a ‘soft target’, i.e. one where it would be easy enough to just leave a bomb timed to go off shortly after the concert finished. Or one that could be detonated by remote as soon as the Arena foyer was filled with people. The only reason to use a suicide bomber is so that there is no one left to explain why this happened. The ‘suicide bomber’ will no doubt be identified as a Muslim. But why would a Muslim extremist want to help Theresa May and the Tories? Would they not be more inclined to help the candidate who doesn’t want to bomb Muslims every day? If it was a home made bomb, it was a remarkably powerful one. It would be very unusual for a lone terrorist to be able to make a bomb this powerful. It is hard to think of any incident where an individual acting entirely alone has successfully done that. Despite this, the police are consistently saying that the bomb was an improvised, home-made device. I have no desire to look for footage or photographs of the bomb site but it does occur to me that 22 deaths and several dozen more injuries requires a large, powerful bomb, unlikely to be small enough to be strapped to a single person under clothing, extremely unlikely to be composed of homemade explosives. While we should not put too much faith in witness reports, so far these have included talk of flames, flashes of light and (strangely) the smell of sulphur. All of these are indicative of higher-grade, possibly military-grade explosive being used. We should not forget that during the last War on Terror, in Northern Ireland, British military intelligence trained and equipped and directed Loyalist extremists to carry out bombings just like this one. A favoured trick was the ‘own goal’ bombing, where the explosion was done in such a way to make it look like the Republicans had blown themselves up, when in reality the Loyalists had murdered them. Perhaps the most famous was the McGurk’s Bar bombing in 1971, which killed 15 people, and which the British authorities said was an ‘own goal’ accidental bombing by the IRA but which was actually perpetrated by Loyalists in collusion with British security services. 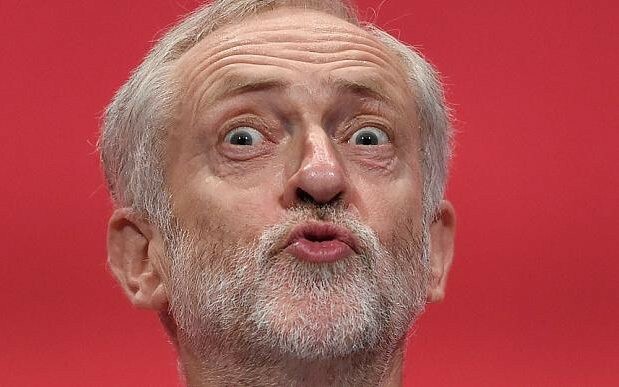 We should also not forget that shortly after Corbyn became leader of the Labour party an unnamed senior general in the British military said Corbyn could face a coup if he were elected Prime Minister. 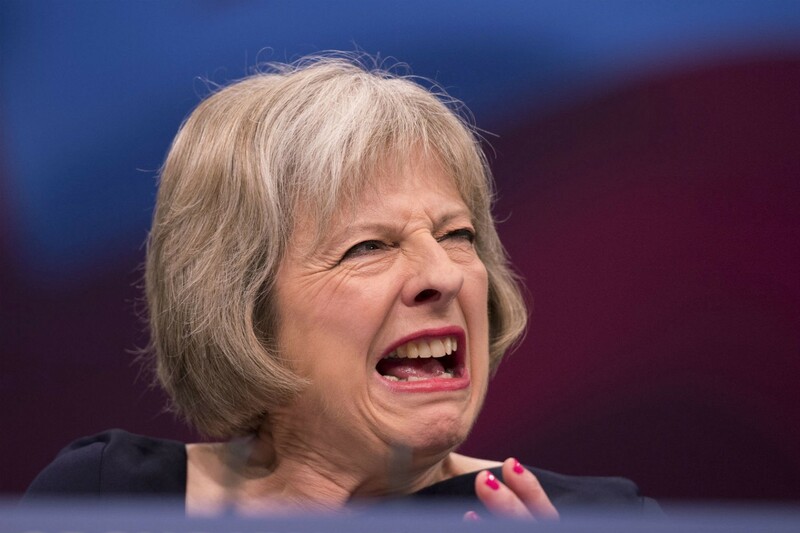 With Labour surging in the polls and the Tories’ manifesto alienating them from the public, that possibility was getting closer to a reality, until last night. It is entirely possible—given their history — that high officials within the Ministry of Defence decided it was better to bomb an Ariana Grande concert than to have to stage a military coup after the election. In short, now is the time for suspicions to be directed towards the government themselves, because they have the most to gain from this and the timing could not have been better for them. Corbyn now has virtually no hope of winning the election, largely thanks to a bombing that bears all the familiar hallmarks of a state-sponsored false flag attack.